Aside from the living room, the kitchen is one of the most frequently visited sections in your home. And for good reason: This is where the action happens. When we say action, we are referring to the beehive-like activity that takes place to produce those mouth-watering dishes that can feed an army. As a homeowner, you would like your kitchen to have that look that would draw in people and make them stay there. The kitchen, after all, is a reflection of your home’s personality. A good-looking kitchen exudes warmth, energy and a sense of positive well-being. To reflect that classy appeal, your kitchen needs to have the right kind of equipment and furniture. 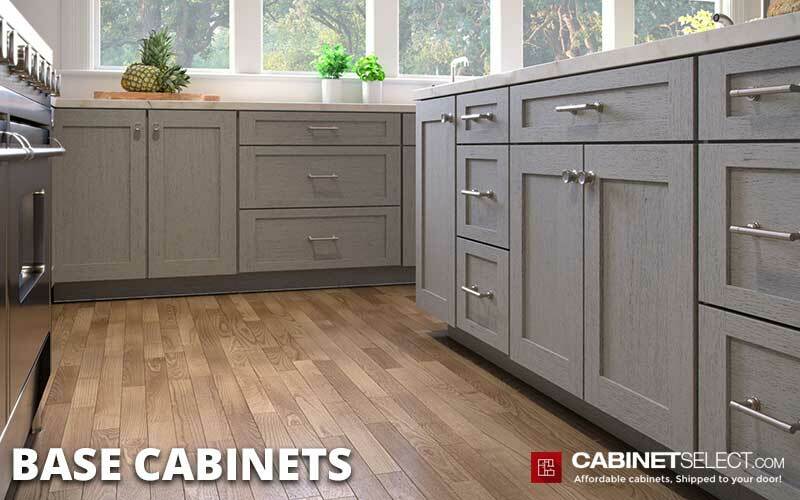 Having base kitchen cabinets would be one of the best ways to achieve a look that is not only easy on the eyes but is also practical and functional at the same time. 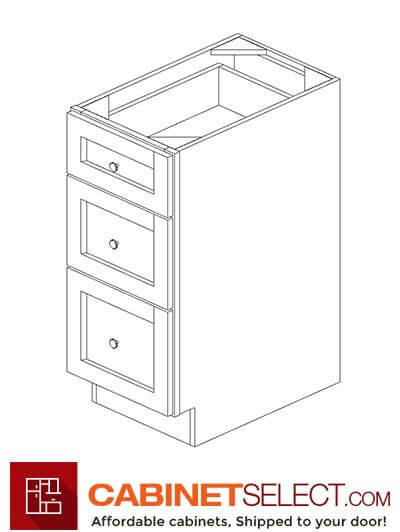 For the unfamiliar, a standard base cabinet is 36-inches high and 24-inches deep. This type of cabinet is equipped with a toe kick, a recessed riser that allows you to slide in your feet while preparing food on the countertop. The advantage of having a base cabinet is its design which allows you to pull them out and see what is inside. This means that you no longer need to get down on your knees just to search what is at the back end of the cabinet. Another feature that makes base kitchen cabinets aesthetically pleasing is their door designs. 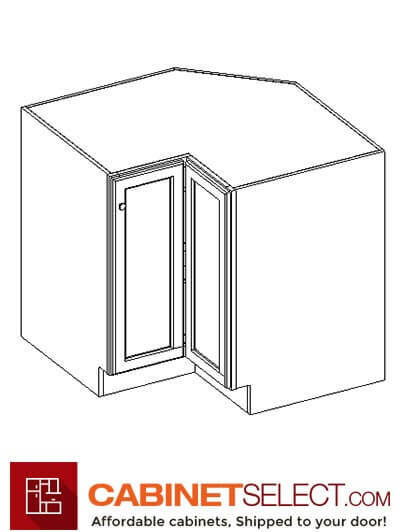 In fact, homeowners choose a cabinet based on their door designs. The door gives this kitchen cabinet its distinct look and personality. By and large, the door is considered by many as the face of the base kitchen cabinet. If the door is a little worn out, the cabinet has a classic feel to it. On the other and, if the door is new and intricately designed, the cabinet emanates a hip, modern look. What are the different type of base cabinets? Drawer base cabinets are a viable option for those who are planning to remodel their kitchens. Featuring sliding draw set that makes it very practical and versatile. This type of cabinet has one limitation though: It can’t be used under kitchen sinks because it can obstruct the installation of drain pipes. 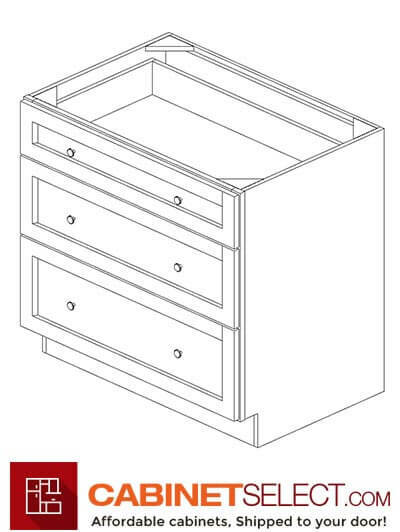 A drawer base cabinet is also ideal for a kitchen cabinet run set up. To maximize storage space, the countertop can be propped up by a drawer base cabinet. Lazy Susan A lazy susan is a corner base cabinet that offer maximum space usage due to its design. Lazy Susans are equipped with a turntable (rotating tray) which gives homeonwers the ability to rotate in order to distribute the items that are stored in it. How much space do we need between wall and base cabinets? The total space needed between the wall cabinets and base cabinets is 18″ to 20″ inches. 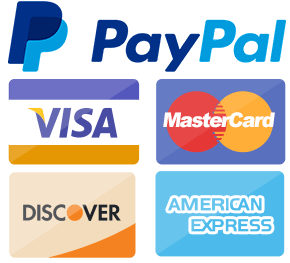 This allows for 1-1/2″ for standard countertop and 18″ for a backsplash or for some of the modern kitchens and designs 20″ backsplash is need to leave enough space for small appliances. The space from the floor to the bottom cabinet shoudl be 54 inches. 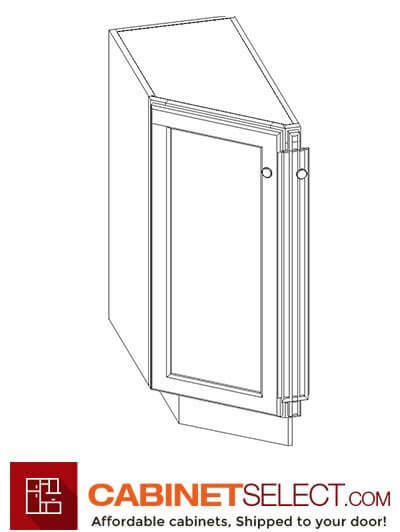 What is standard base cabinet depth? The standard depth for kitchen base cabinets is 24 inches deep. What kind of base cabinet is needed for a farmhouse sink? Most of cabinet lines offer a 36″ base farmhouse apron-front cabinet. 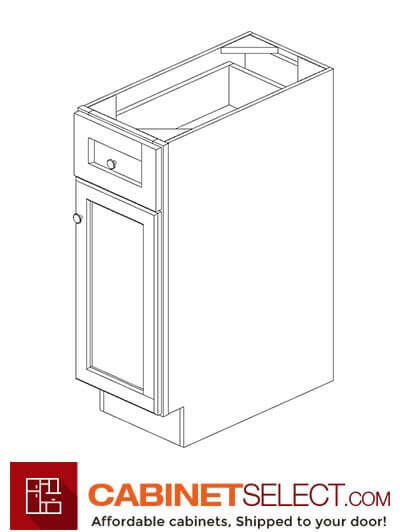 For our Cabinet Lines you can search for FSB30B in our search bar to find all of the farm sink base cabinets available.